Every year 103 million Americans leave $80 billion in benefits unclaimed. Benefit Kitchen helps inform consumers so they receive the benefits they’ve earned. 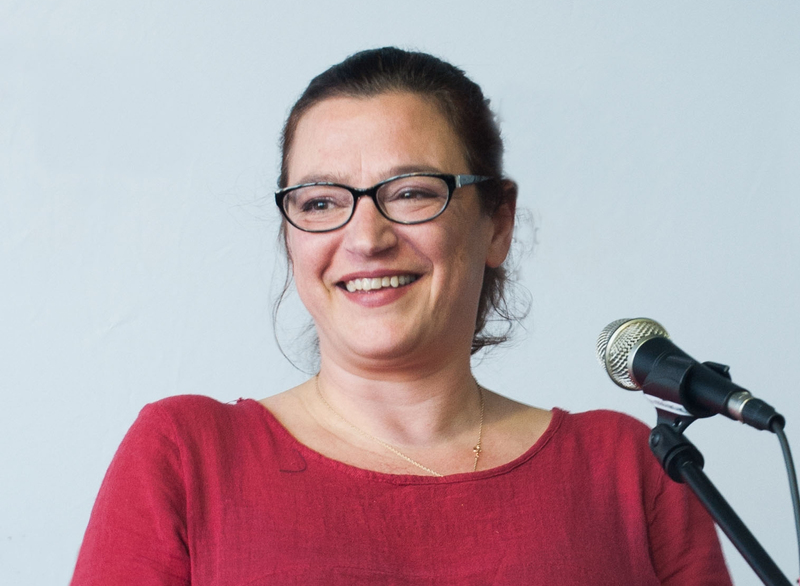 We caught up with Co-Founder Melanie Lavelle to find out more about Benefit Kitchen. DBP: Tell us about Benefit Kitchen. What propelled and inspired you to start the business? ML: Some years ago a friend was struggling to make ends meet after her twins were born. We tried to help her research benefits, but we found it exceedingly difficult to understand benefit eligibility… let alone how much she should expect to get for each benefit and how to apply. Looking outward it didn’t seem that many people or organizations had the answers… or they focus on one area like food security or financial inclusion, rather than the whole picture of all the supports available and how they interact. Our Benefit Kitchen screener and other services, like APIs and white-labeled products, help our customers whose own business model relies on many of these income supports (like hospitals and Medicaid, or supermarkets and Food Stamps) to expand their outreach efforts and provide the best information to their customers. We continue to provide our self-service App to struggling families across the country, free of charge. DBP: Who are your customers and what defines your niche? ML: While “low-income” conjures images of reduced opportunity, these benefits are anything but. Medicaid spending across the country is over $500 billion annually, Food Stamps: $80 billion, and these are just two of the 17 benefits we cover. Our niche is with healthcare, nonprofit, retail, and government institutions that have an interest in increasing their constituents’ purchasing power. About 1/3 of Americans struggle to make ends meet each month, while $80 billion is being left on the table in unclaimed benefits each year. We work with these groups to bolster their clients/patients financial foundations so that they can maintain housing, jobs, and basic economic self-sufficiency. DBP: Why did you choose to start your business in Brooklyn, and, can you speak to why Brooklyn is a great place to do business? ML: Brooklyn is home! We’ve lived here for 14 years and our kids go to public school in Brooklyn. It’s the best place to do business because we can work with people that really “get” the impact this work can do like Brooklyn Borough President, Eric Adams, and Myrtle Avenue Business Improvement District. Working at Blue Ridge Labs we collaborate with other start-ups innovating services for struggling families. And being in Brooklyn you can still avail yourselves of all the five boroughs have to offer. For instance we won BigAppsNYC (through NYC EDC), which was a great honor, and we use NYC Open Data’s API to feed benefit application forms into our referral system. DBP: Can you tell us about how you have worked with the City of NY and BIDs to promote and engage an audience? ML: With the support of a Small Business Services award, we’ve worked with Myrtle Ave BID to build “hyper local” benefits into our tools. These include: eligibility for farmers market dollars from the local Whitman pharmacy (Pharm to farm) or half-price CitiBike and there are resources to get a free bank account (Apple Bank) — all of these benefits drive traffic to neighborhood businesses. 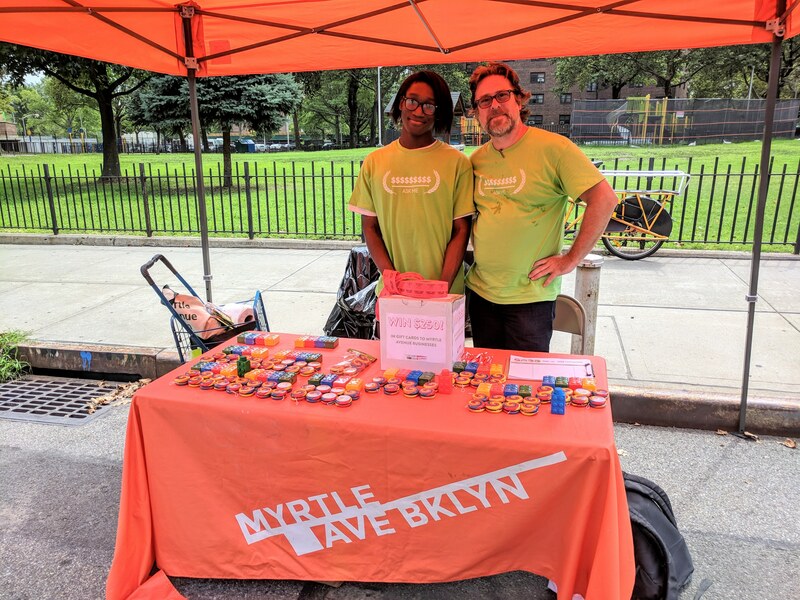 This Myrtle BID partnership has been so meaningful for us because we’ve engaged at Myrtle Ave’s local events (e.g. Community Corner, the food pantry) and worked closely with the team to identify local business to highlight within our tools. Working with a team so dedicated to their community, like Myrtle Ave BID, we have spent the last year examining how best to engage individuals and businesses to highlight the often overlooked opportunities to create economic opportunity in diverse communities. Additionally, we white-labeled the screener for Myrtle Ave so that they can maintain their brand (and people in the community trust the screener and its results). In essence, they have their own, in-house software that they share with the community they serve. DBP: As a female entrepreneur what are the challenges you may have faced in a traditionally male-dominated field (ie tech)? ML: Perhaps the hardest challenge as a female entrepreneur—and one whose business model focuses on helping low-income families—is raising capital. We’ve therefore focused on finding success with our customers and partners by bringing an authenticity and passion to this very niche market. New York and Brooklyn’s emerging tech scene and pitch competitions/accelerators/collaboration spaces have been particularly helpful in finding other founders with similar challenges, and honing our message to find the right audience for our product. DBP: What’s next for Benefit Kitchen? How do I get involved or sign-up? You can learn more about Benefit Kitchen here.